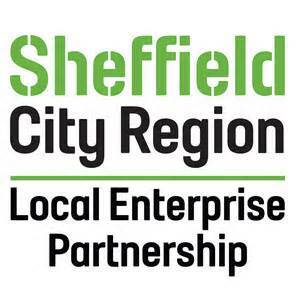 The priority areas for Sheffield City Region LEP (SCR) are as follows. Below each priority area is a list of individuals within the voluntary and community sector who are interested in working in partnership to deliver collaborative projects within the priority area. Some organisations on the lists below are looking for partners to collaborate in delivering specific projects. For further information on these projects click on the organisation’s name. For further information on LEPs and to view their strategies visit www.oneeastmidlands.org.uk/leps. A high level proactive campaign to encourage more of the self-employed to incorporate and grow their businesses with appropriate support through the 'business in a box' initiative. A business 'adoption' service that sees existing successful businesses taking responsibility for the development of a fledgling company by providing investment, accommodation and on-going development support. Accommodation and facilities - establishing SCR as the most effective start-up zone in the country. This will build upon the best practice established across the SCR and, amongst other things, would provide flexible leases, affordable rents and rates for start-up and early stage tenants, and access to appropriate business support. This initiative will not be limited to the public sector; neither would there be any limit on the number of facilities. The key will be that providers will have to meet a minimum threshold of quality of offer and support in order to become part of this supported network. Driving up quality by exploiting knowledge and intellectual assets - the development of specific initiatives with universities and university centres to increase the level of support available to entrepreneurial students, including development capital, incubation facilities and bespoke support. Progress to work - programme seeks to reduce youth unemployment, building on the Youth Contract to create a formal partnership with JCP. Through this they can model a localised approach to employment services, better identification, tracking and assessment of disengaged and unemployed young people from 16 to 24, improved interventions to increase their job readiness and stronger connections to the labour market through job opportunities generated by other aspects of the ESIF and the SEP.
To establish a single, electronic youth portal for SCR designed to inform course and career choice on the part of students and those who guide them, as well as better connecting them. Skills bank - this programme is centre to their determination to give more purchasing power to employers who use the skills system. The Skills Bank is proposed as a single repository of skills funding on which employers can draw to meet their skills needs. Utilising a five percent allocation to social inclusion allocation, they will look to implement a Community Grants programme that will address specific challenges as they affect specific communities, for example digital inclusion and financial inclusion, which can often be concentrated in small neighbourhoods and such interventions can develop an embedded coterie of informed local people able to sustain the results through informal networks. This approach also offers opportunities to test and approach innovation. Community Grants provide a mechanism for tackling emerging challenges and for addressing communities with specific barriers and drawing on experience and knowledge of the communities themselves or on the specialist expertise within the third and public sectors. SCR will establish a call for proposals and/or commissioning framework whereby communities and those organisations closely associated with them can seek funding in response to challenges and opportunities provided by other specialist interventions or the need for specialist support. Support for social enterprise to enable communities to create or tailor services directly to their needs and to increase the range of employment opportunities for local people. Support for social enterprise, which will enable the region's communities to pilot social innovation and grow this into new businesses, which can retain spending within the host community.